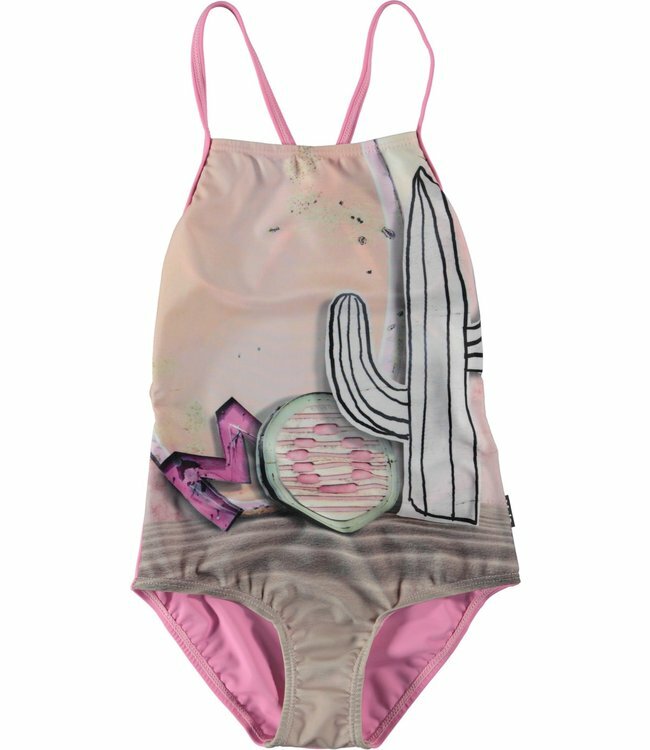 Molo Neda Swimsuit- Signs By The Wall - Refinery Clothing Co. Pastel coloured swimsuit with pink cross straps on the back and a pink inner face. The swimsuit has a UV protection of 50+.